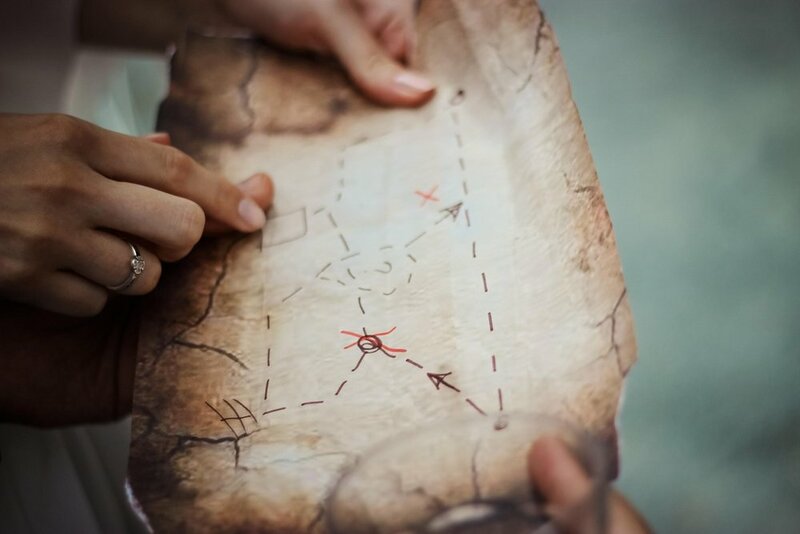 One of my family’s favorite movie genres are adventure movies, especially ones that involve a treasure hunt of some kind: Indiana Jones, National Treasure, Pirates of the Caribbean. We love how the characters solve the mystery, the journey that they take, the trials they endure. So exiting! And of course we love to see if we can solve the mystery before the characters do! In many of these stories, there is a key of some kind that puts all the clues together to solve where the treasure is. In National Treasure, it turns out to be a smoking pipe that when disassembled, becomes a key to open a vault! In Raiders of the Lost Ark it’s a staff! In the Bible it’s Jesus. This is one of the things that our author of Hebrews wants to highlight about Jesus, another aspect that makes Jesus so amazing. Chapter nine starts out basically where we left off last week, talking about priests. Only instead of discussing what makes a priest a priest, this reading is more about the function of a priest. Our author starts out with a somewhat detailed description of the Tent of Meeting or Tabernacle. If you play the Indiana Jones theme song in your head while you read the description, it sounds an awful lot like a description on a treasure map—lampstands, tables, loaves, curtains, gold altar, incense, and a chest with manna and Aaron’s rod that budded! And there’s lot of mystery that surrounds this tent where only priests are allowed to perform their rituals, and only the high priest can go into the inner sanctum, the holy of holies, where God was thought to be closest to Earth. For the Jewish people, these priests, and especially the high priest, were the key toward the closeness of God, their real treasure. However, our author puts a finer point on this idea. It wasn’t just any priest or high priest that could be the key, it could only be the high priest, Jesus. To be clear, our author was not saying that all the previous priests were imposters or unnecessary. Rather, they had the honor of being the foreshadows of Christ. As the ultimate key to the closeness of God, Jesus could enter the holy of holies once and for all, releasing God’s goodness upon all creation, no longer to be ceremonially relegated to a tent in the desert, or behind a curtain in a temple. For our author, Jesus is the key to the greatest treasure hunt of all time! We may not be priests, but our baptisms do give us the opportunity to unlock God’s goodness for people who need to hear a word of grace and welcome. I’ve often thought that in addition to giving Bibles or crosses or towels away at baptisms, we should also give a set of keys. For in our baptisms, we are given the power to proclaim, to unlock, in word and deed, the amazingness of Jesus and God’s unconditional love. Some application questions: Are their ways that we can foster a sense of adventure to our faith? How well do we use our keys given at baptism to unlock God’s grace for people? How could we do that better, or reach a wider audience than we have in the past? Are there times when we intentionally or unintentionally hide our keys? The following links and resources are not produced or maintained by Clergy Stuff. However, at the time of this posting, the links were active and considered to be good source material for proclamation for the text for this week. Please scroll down or click on the quick jump menu you find below. For more free worship resources & planning materials, please visit RCL Worship Resources, a sister-site of Clergy Stuff. In addition to the plethora of resources that you can find on sites like textweek.com, here are a few more to help ignite your imagination. Some old, some new, and some are a bit outside the box, but when your struggling with direction, sometimes a different approach is all that’s needed. Sacrifice—A great introduction on the role of sacrifice in both ancient and modern Judaism, all from a Jewish perspective. Christ Our Great High Priest—A sermon on Hebrews by Martin Luther, specifically citing this week’s passage. National Treasure—A clip from the movie where they discover the key to the vault. A short introduction to Hebrews with particular attention to Jesus’ role as high priest and how that compares to the role of a modern pastor, as well as God’s “tough love” approach with us. Clergy Stuff has NL Resources for You! Confirmation With Narrative Lectionary? Yup! Reader: Now even the first covenant had regulations for worship and an earthly sanctuary. Congregation: For a tent was constructed, the first one, in which were the lampstand, the table, and the bread of the Presence; this is called the Holy Place. Reader: Behind the second curtain was a tent called the Holy of Holies. Congregation: In it stood the golden altar of incense and the ark of the covenant overlaid on all sides with gold, in which there were a golden urn holding the manna, and Aaron's rod that budded, and the tablets of the covenant; above it were the cherubim of glory overshadowing the mercy seat. Reader: Of these things we cannot speak now in detail. Congregation: Such preparations having been made, the priests go continually into the first tent to carry out their ritual duties; but only the high priest goes into the second, and he but once a year, and not without taking the blood that he offers for himself and for the sins committed unintentionally by the people. Reader: By this the Holy Spirit indicates that the way into the sanctuary has not yet been disclosed as long as the first tent is still standing. Congregation: This is a symbol of the present time, during which gifts and sacrifices are offered that cannot perfect the conscience of the worshiper, but deal only with food and drink and various baptisms, regulations for the body imposed until the time comes to set things right. Reader: But when Christ came as a high priest of the good things that have come, then through the greater and perfect tent (not made with hands, that is, not of this creation), he entered once for all into the Holy Place, not with the blood of goats and calves, but with his own blood, thus obtaining eternal redemption. Congregation: For if the blood of goats and bulls, with the sprinkling of the ashes of a heifer, sanctifies those who have been defiled so that their flesh is purified, how much more will the blood of Christ, who through the eternal Spirit offered himself without blemish to God, purify our conscience from dead works to worship the living God!